The curse is broken, magic has arrived, and there's no telling what, or who, will be unleashed. Now the exiled fairytale characters of Once Upon a Time must grapple with a flood of awakened memories as they come to grips with their new "reality." Old loyalties will be tested, new heroes will emerge and vengeful villains will wreak havoc, including ruthless pirate Captain Hook and the relentlessly wicked Queen of Hearts (Barbara Hershey). Amidst the backdrop of previously unexplored lands and a newly magical Storybrooke, love and sacrifice will set the stage for the ultimate battle between good and evil. For, in the words of Rumplestiltskin, where magic is concerned, only one thing is certain: it always comes at a price. 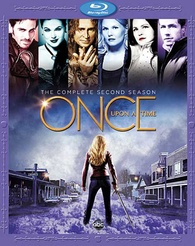 From Storybrooke to Fairy Tale Land and beyond, experience the mystery, romance, action and adventure of Once Upon a Time. Season Two also stars Jamie Chung as Mulan, Julian Morris as Prince Phillip, Lee Arenberg as Grumpy, Sarah Bolger as Princess Aurora, Jorge Garcia as Anton the Giant, Ethan Embry as Owen Flynn, David Anders as Dr. Victor Frankenstein, Alan Dale as King George, Beverley Elliott as Granny, Eion Bailey as Pinnocchio, Raphael Sbarge as Jiminy Cricket and Tony Amendola as Geppetto. Season two of ABC's 'Once Upon Time' picks up right where the first season left off, but it takes a slightly darker approach. It seems like every network now has some sort of fairytale or fantasy show that showcases monsters, princesses, pirates, vampires, or wizards. There's just so much to choose from in this genre at the moment, but rest assured, most of the series are doing very well, and have captivated a massive audience that tunes in every week to get a glimpse of their favorite fantasy characters. With 'Once Upon A Time', we get our childhood fairytale characters re-imagined in a smart and inventive way. If you're new to the show, you might feel a bit lost coming in for an episode here and there, as there are some big overall story arcs. There are also some cameos of the week that show up from time to time and never pop up again. But one thing is for sure, this popular series has found its footing and is sure to please fans and newcomers. At the end of the first season, the curse that plagued the citizens of Storybrooke was lifted, now everyone has their memories and true identities again, which I think gives the second season many more options to explore plot-wise. Emma Swan's (Jennifer Morrison) parents Snow White (Ginnifer Goodwin) and Prince Charming (Josh Dallas) are together again, with the Evil Queen (Lana Parrilla) and Rumpelstiltskin (Robert Carlyle) still trying to take over the world. Now, we have quite a few more characters to add to the show, particularly a man named Killian Jones (Colin O'Donoghue), known to most of you as Captain Hook. Emma is recruiting some of these new characters that are coming to light to fight the evil plaguing Storybrooke again, and Captain Hook is by her side, however there is more to him than meets the eye. From the Queen of Hearts (Barbara Hershey) to the many other villains that show up, one thing is for sure - Captain Hook is here to stay. And that's a good thing as Colin has brought a new rejuvenated life to the show. He kills it every time he's on screen and has garnered quite the online fan-base for his character. With magic and sorcery now a part of everyday like in Storybrooke, this second season has several new foes, twists, and turns for you to sink your teeth into. At times, some of the flashbacks get a bit tedious and slow the pace down, but the characters and their actors seem to be doing their best to keep the series and its audience on their toes. Newbies and fans alike will enjoy the second season of 'Once Upon A Time' quite a bit, even if it's just to keep their nostalgic stories alive. The second season of 'Once Upon A Time' has a great looking 1080p HD transfer. All twenty-two episodes are presented in 1.78:1 aspect ratio. The biggest flaw with this release is its green screen scenes. When there is a segment that is heavily shot with a green screen background, the image nose dives into oblivion with banding, motion blur, and aliasing. It's horribly distracting. However, when the green screen is not being used, the detail is very sharp and well defined, showcasing the actor's facial make-up, wrinkles, and scars. Their costumes show intimate stitching as well with this great image. Though, when on the green screen, the image goes completely flat. Skin tones are natural and smooth with the black levels running very deep and inky. Colors pop off screen throughout as well and seem to be well saturated and balanced. Besides the problems with the green screen shots, this video presentation is top notch. This release comes with a lossless DTS-HD 5.1 audio mix that sounds a bit better than season one. That may be because there are a lot more action sequences in season two. The dialogue is always crystal clear and easy to understand, even when there are terrible situations. The surrounds get a decent work out with all of the sorcery noises and town's ambience pouring from the rears. There is some good directionality throughout each episode with the the dynamic range being well-balanced and full. The score also adds a bit of cheesy suspense and never drowns out any of the dialogue or sound effects. I wouldn't go so far to say this is demo worthy, but it's a big step in the right direction. There were no pops, cracks or hisses to be heard. A solid audio presentation. Audio Commentaries - There are six chosen episodes with commentary by some of the cast and crew. 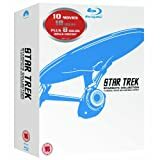 I was surprised there weren't more commentary tracks, but that being said, these discussions are mostly lively and offer a good bit of insight into the characters and story lines of the show. There are some funny anecdotes from filming as well as some behind the scenes info as well. For fans of the show, you'll want to listen to these. Deleted Scenes (HD, 11 mins) - There are eight total scenes here, which are all short in nature and never really further a character or story. Girl Power (HD, 13 mins) - Here is a look at all of the female heroes and villains of the show. Sincerely, Hook (HD, 6 mins) - A fun interview with Colin O'Donoghue, who plays Captain Hook. Good Morning, Storybrooke (HD, 13 mins) - Here is an interesting fake morning show for the town of Storybrooke with some fun cameos. Worth a look. Blooper Reel (HD, 3 mins) - A short and standard gag reel. The second season of 'Once Upon A Time' is a lot more entertaining than the first, it's darker with more twists and has some unforgettable characters showing up this time around. Captain Hook steals the show. Fans will enjoy the series' second outing. The video and audio presentations are great with some interesting but short extras. Recommended for fans.